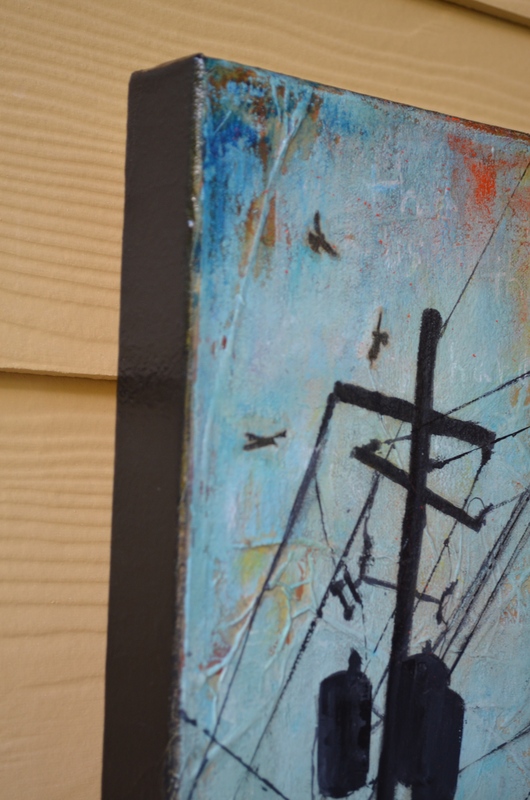 Inspired by the power lines standing tall in front of the local food pantry in my city, this gritty mixed media painting was created with papers, acrylic, inks and watercolour crayon. This piece measures 10 inches by 20 inches with a 1.5 inch side that has been painted black. 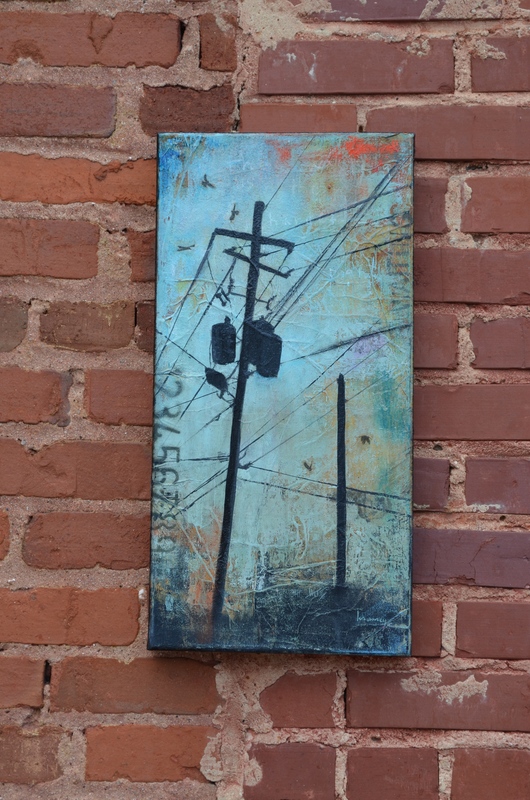 It is wired in the back and suitable for hanging unframed.